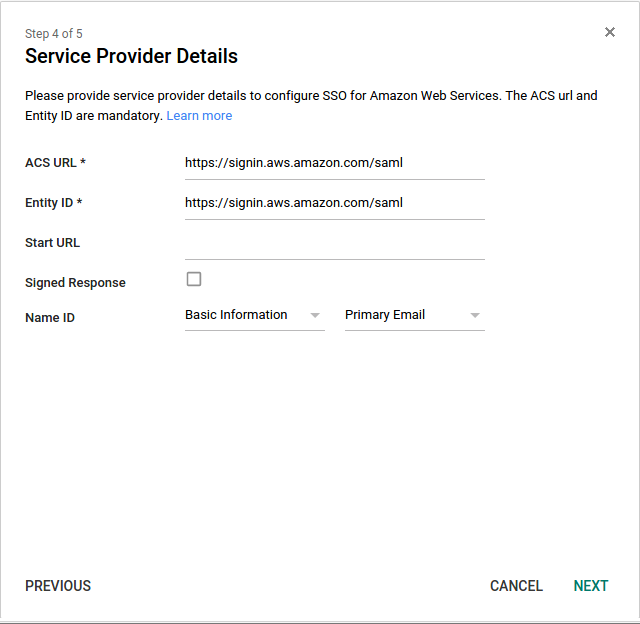 Recently, I worked on a task wherein the users had to be authenticated based on existing Google credentials to get access of AWS Management Console. It took more time than expected to make it work as the documentation provided by Google is not complete. Let’s start by setting this up step by step. Provide access of AWS Management console to already existing Google users. Let’s say the users belong to “singhnavjot.com” domain. 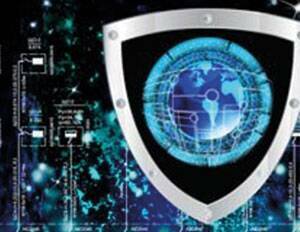 We will use SAML 2.0 protocol to pass information of Google user to Amazon’s AWS. 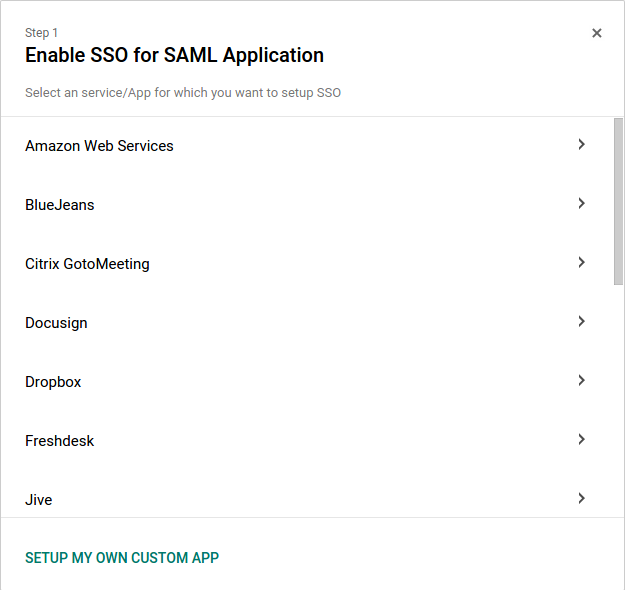 Here, Google is our SAML Authority or Identity Provider and Amazon’s AWS is SAML consumer or Service Provider. Let’s configure it to provide access to a user whose email id is “navjot@singhnavjot.com”. 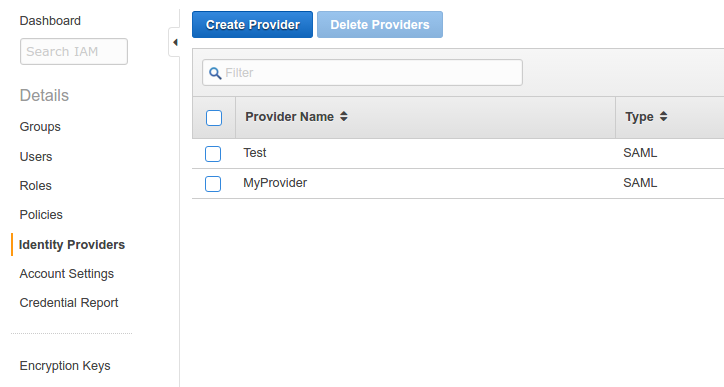 Provide any name in the “Provider Name” field (say GoogleApp). We have created the Identity provider successfully. Now, we need to a define access permission for this Identity provider. This can be done creating “Role” in AWS. “Policy Document” will appear. Change it as per the requirement otherwise, this would work for us. Click “Next Step”. Select the policy from the list. We are selecting “ReadOnlyAccess” to provide our users who will use google credentials to login into AWS console a read-only access. Click “Next Step” to move to the verification page. Save the “Role ARN” as we will use it later. Click “Create Role” at the bottom right corner. We have completed our AWS configuration. 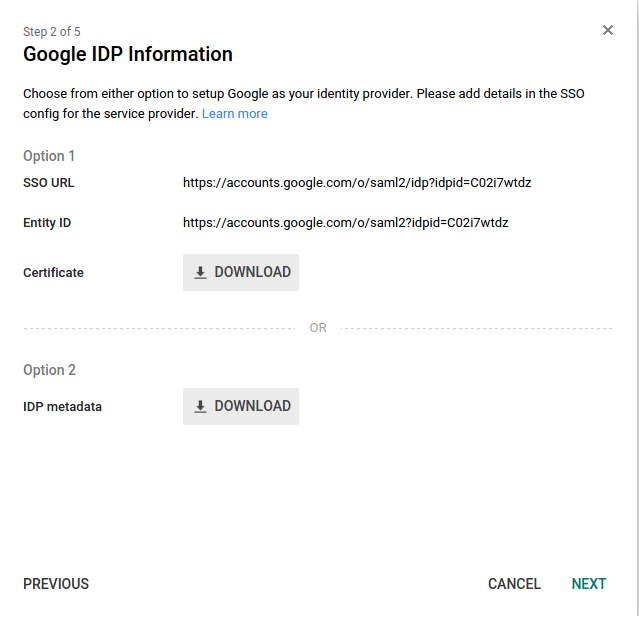 We will now move back to the Google Admin Console which we have left in step 5 where we have downloaded the IDP metadata. Click next. We have not told google about the role and Identity provider ARN that it will use. For this, we need to add a custom field using google SDK API and API explorer in the Google App which would take Role and Identity Provider ARN. 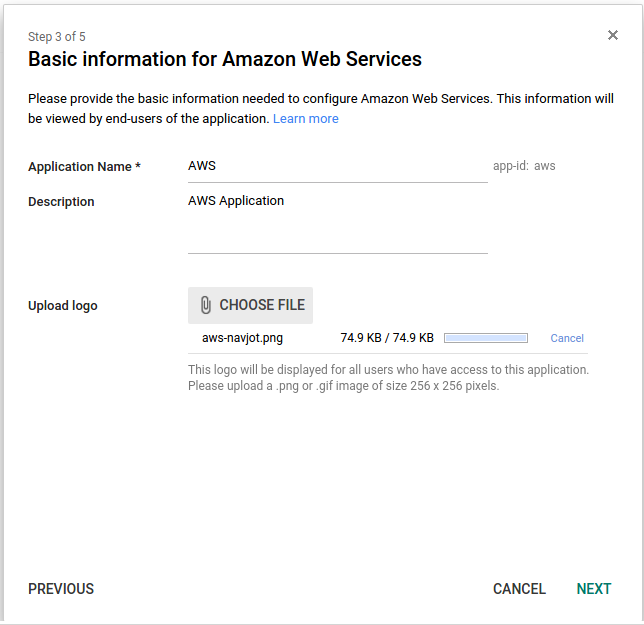 Google App will use these details to communicate with AWS. We will add one user into the app and provide it the access to use the AWS console using the provided AWS role. 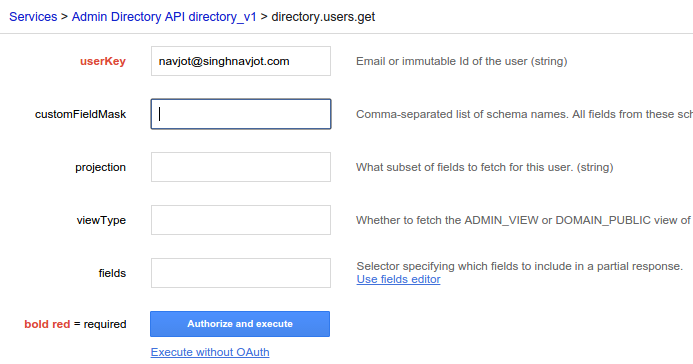 First we need to get the customer id using directory.users.get API. We will get 200 OK response with some information in the response. We can get “customerId” from the response. 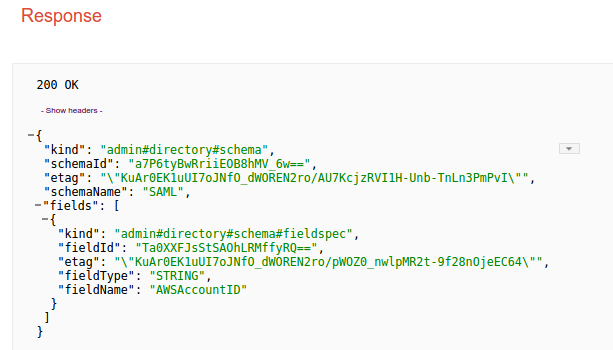 Now, we are adding the AWS-related information in the fields using API directory.users.update. Now, we have added new custom schema and populated the fields. If we have only a few users then these steps can be repeated for all users. That’s all we need to do configure in the Google admin console. Upon launching the App we will be redirected to the AWS management console having ReadOnlyAccess. Similarly, different access permission can to granted to different users by assigning separate to the users. 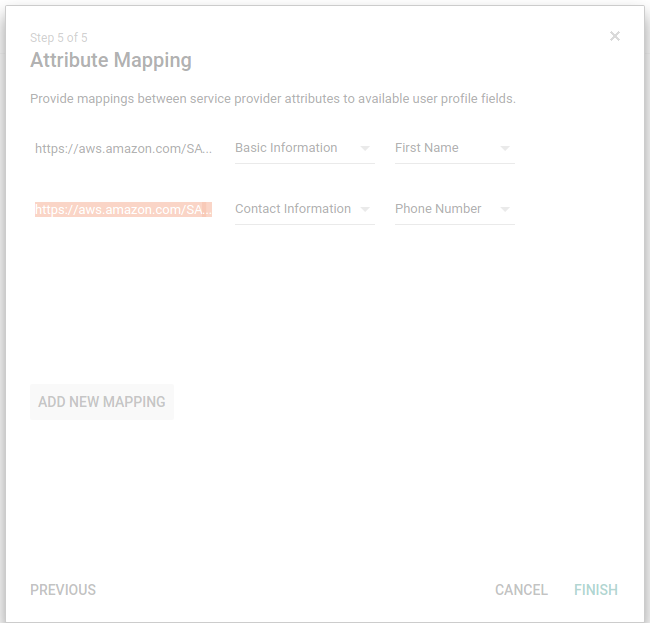 How i can configure more than 10 aws accounts to each google user? Have you used SAML to generate temporary tokens for use with the AWS CLI?